Built for the person who wants the very best! 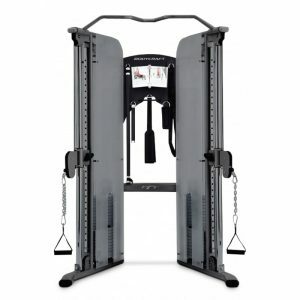 Unlike a standard Smith machine, the Jones Platinum offers patented technology which provides the ability to move forward, backward, up, and down. 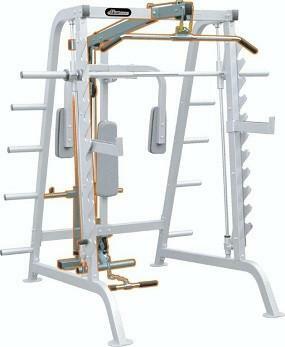 When equipped with our patented Active Balance Bar, the Jones Platinum offers the user a true barbell experience. 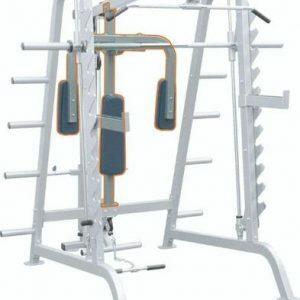 The Best Exercise Machines use your Muscles the Way they are Designed to Function.The Bodycraft Jones Platinum patented 3-D barbell motion offers simple, natural, multi-plane movements that train and protect the body for every day living, sports activities, and rehabilitation because the body’s natural movements can be utilized within the Jones, all free-weight barbell exercises can be safely performed. 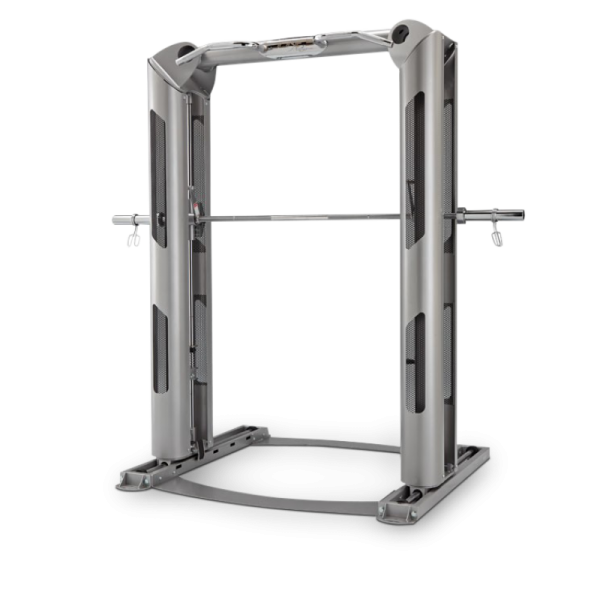 (Optional) The Full Body Trainer attachment turbo charges the Jones Platinum into the most comprehensive strength training device ever created by adding a completely different functional training experience. 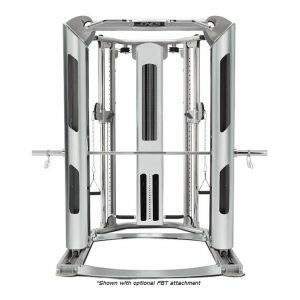 The FBT allows the user to do functional training exercises, progressive functional training exercises, and sports specific training in addition to hundreds of exercises the Jones Platinum already offers.